Luke Combs brings his Beer Never Broke My Heart tour to Amsoil Arena in Duluth on April 11. The show is sold out, but we have plenty of room to see it all from the B105 suite, we'll even provide some pizza! Listen every weekday morning around 8:15 a.m. for a Luke Combs Cue-To-Call to win a pair of tickets during The Breakfast Club. If you win tickets, tell Ken and Lauren something in your life that will never break your heart. It can be anything you love in your life! Everyone should keep track of what the morning show winners says, because you'll need their answer to win tickets later in the day with me. I'll play a Luke Combs Cue-To-Call between 2pm and 5pm. If you're the 15th caller and can tell me what the Breakfast Club winner said, you'll also win a pair of tickets to see Luke Combs. The Beer Never Broke My Heart tour brings Luke Combs, and his record-breaking 5 consecutive #1 hits, along with LANCO and newcomer Jameson Rodgers to Duluth. 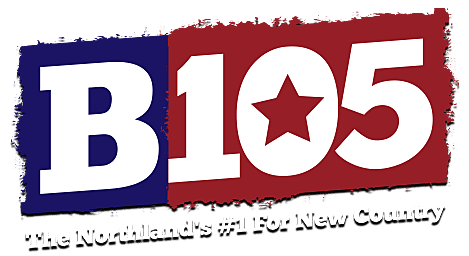 Listen every weekday to win your tickets to the sold out show with The Northland's #1 For New Country, B105!